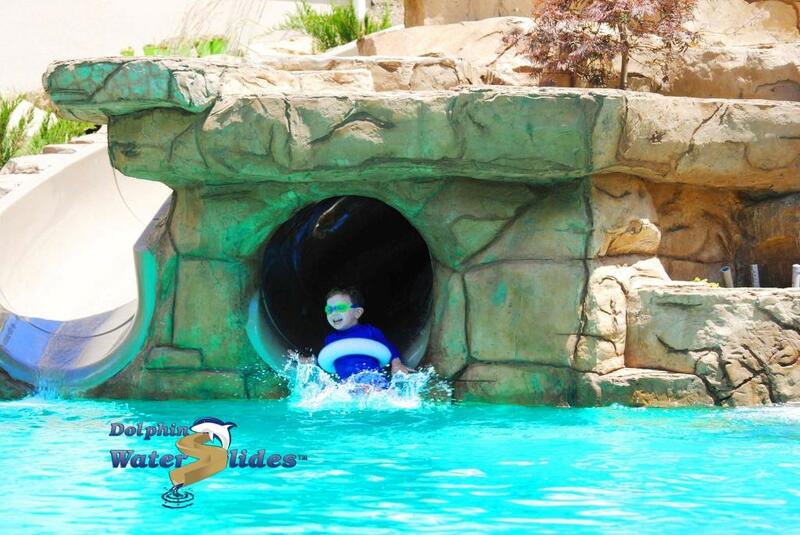 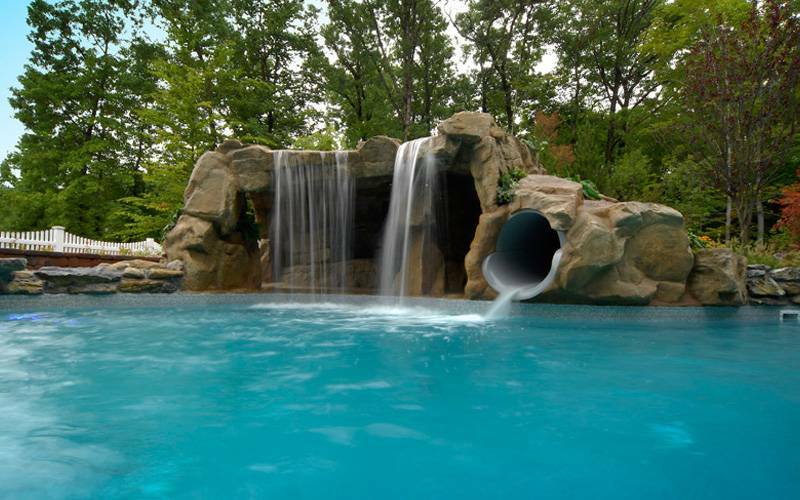 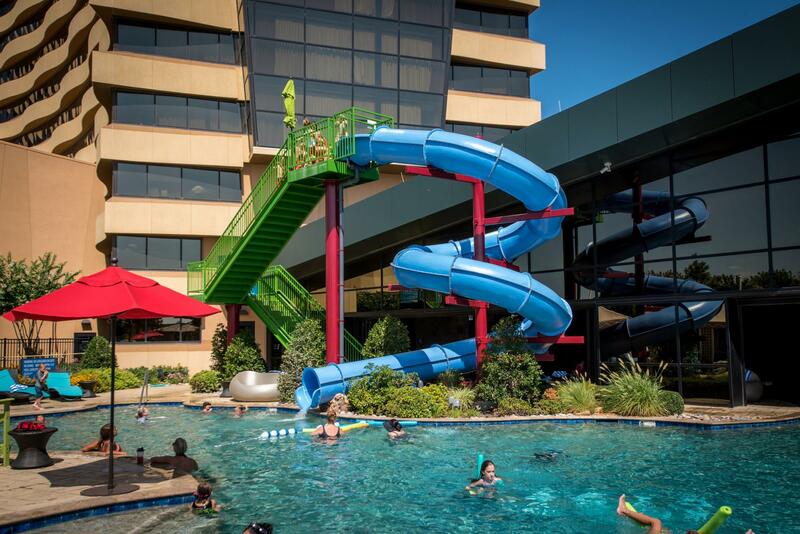 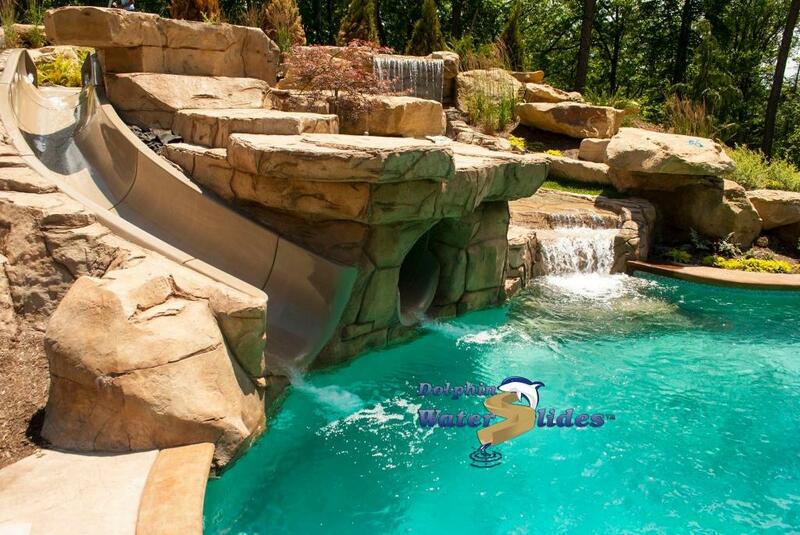 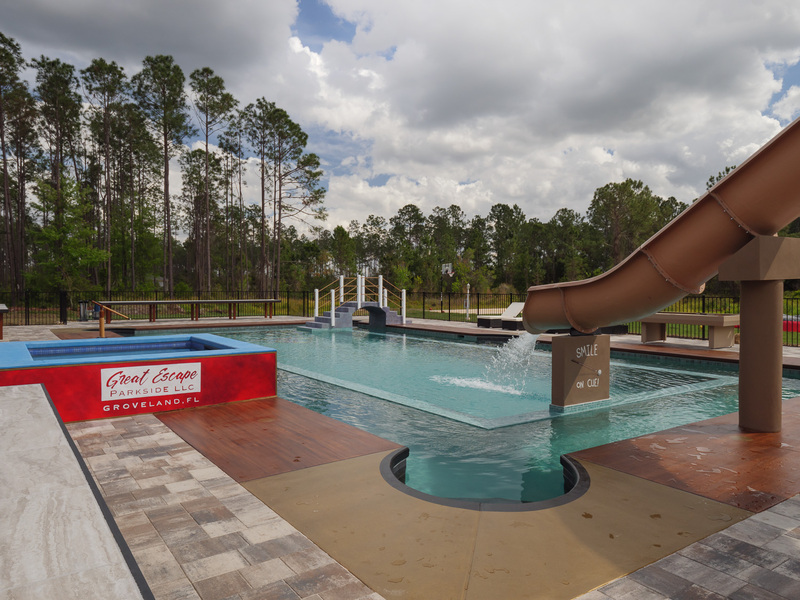 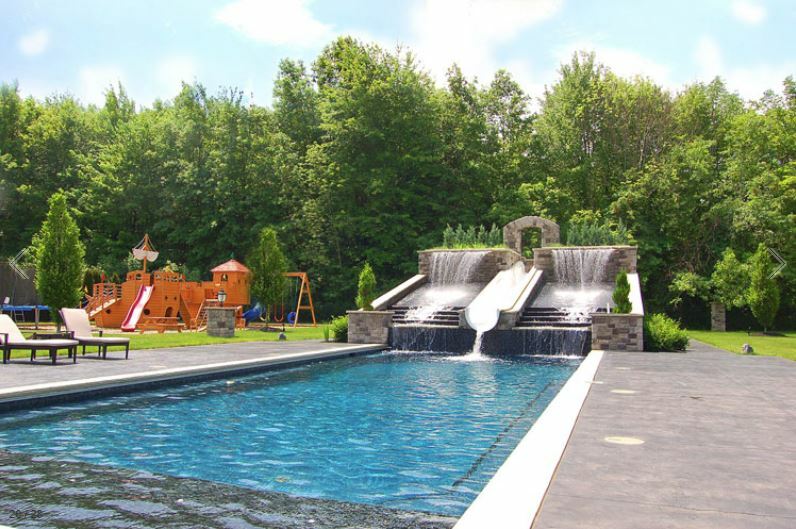 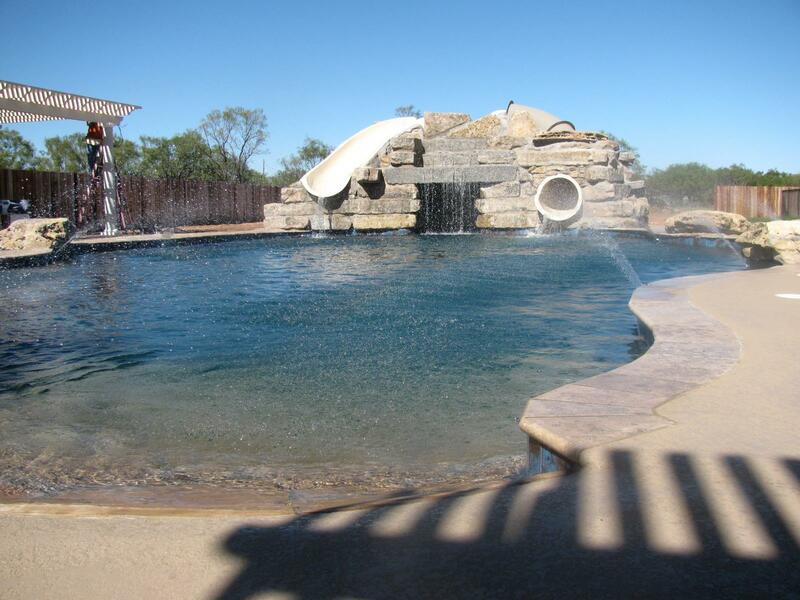 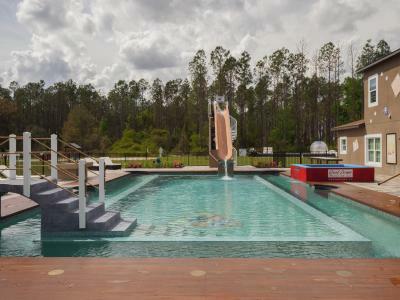 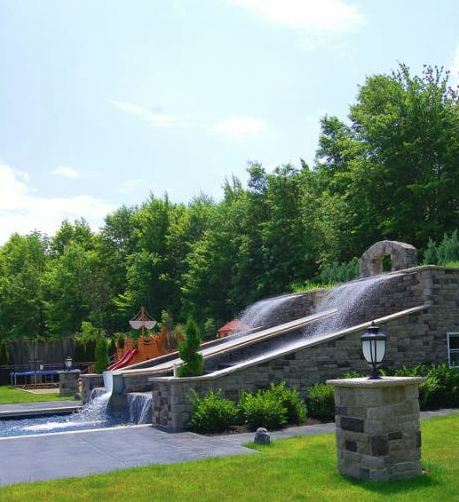 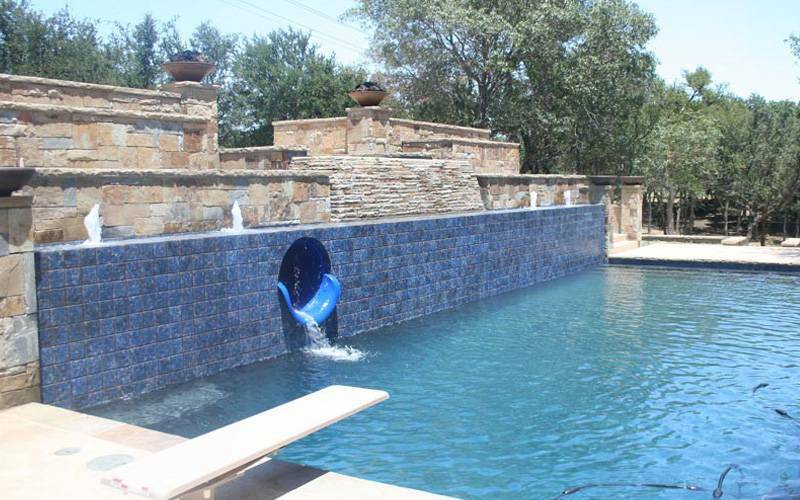 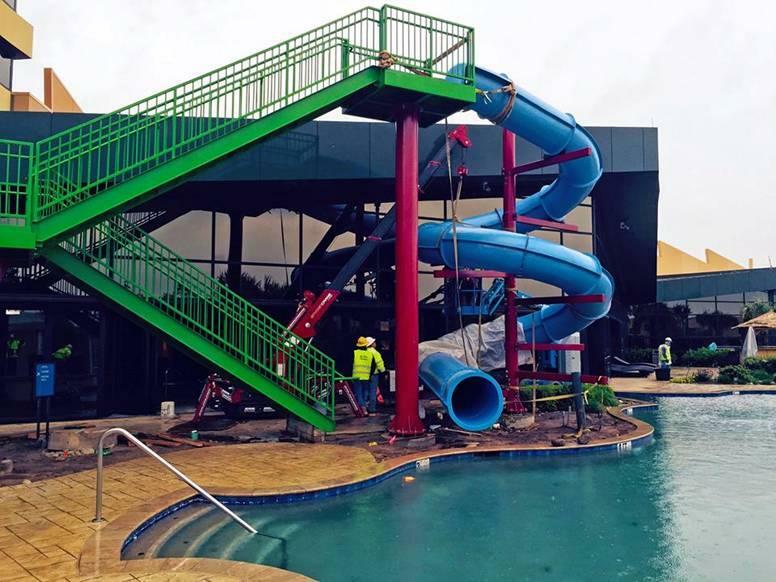 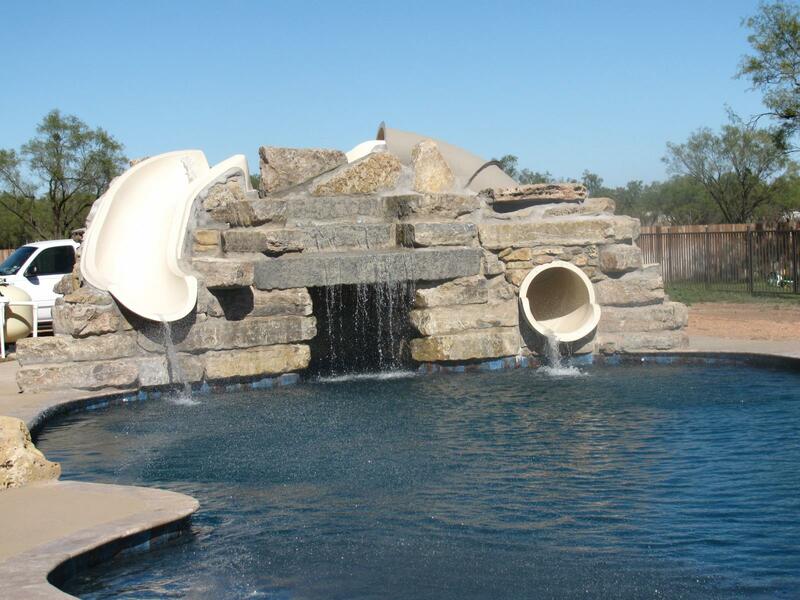 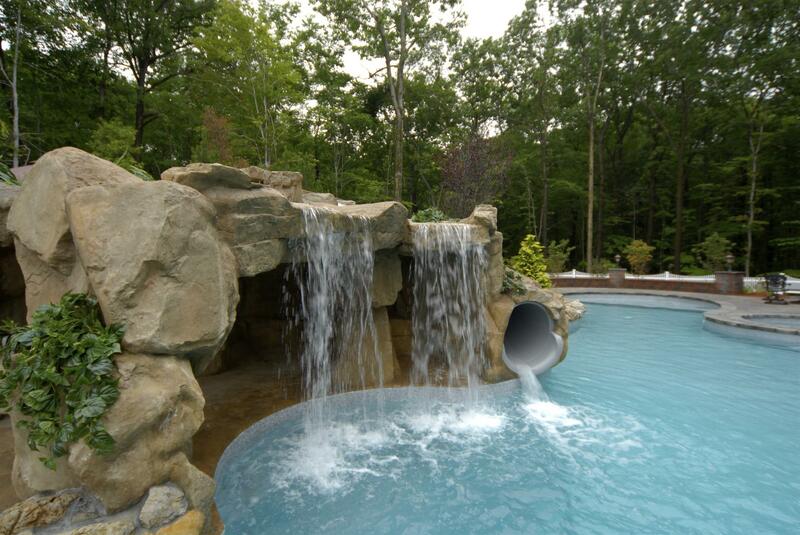 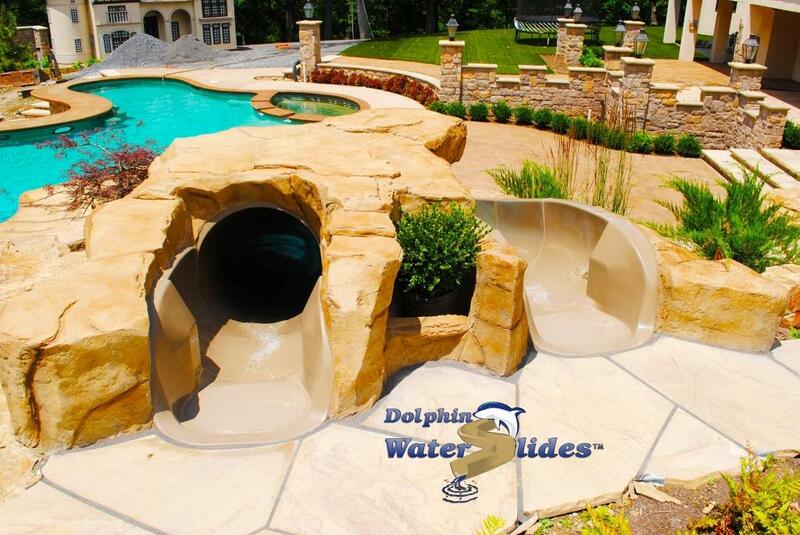 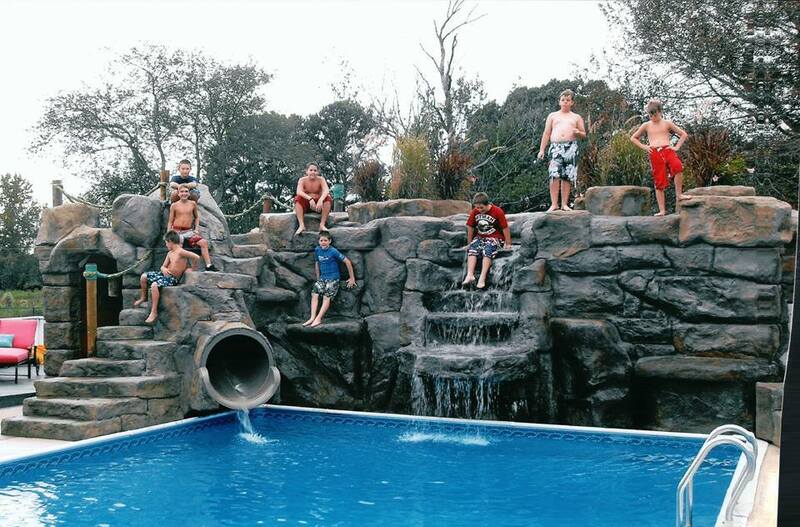 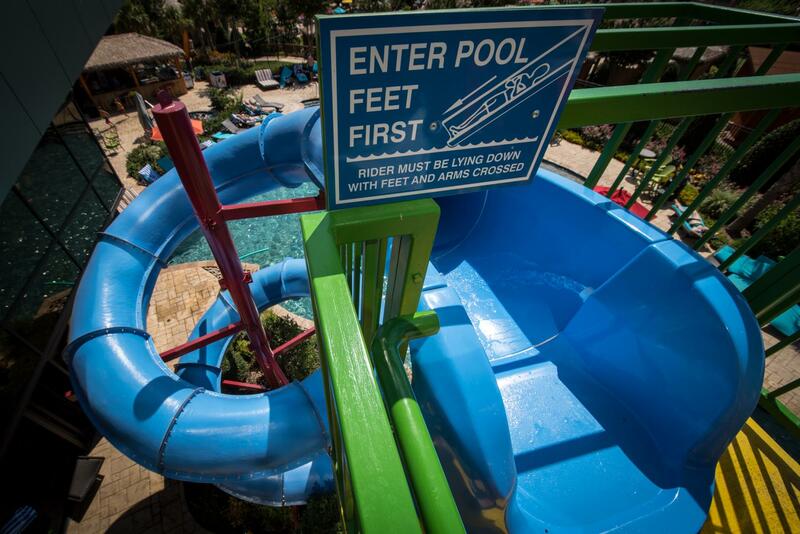 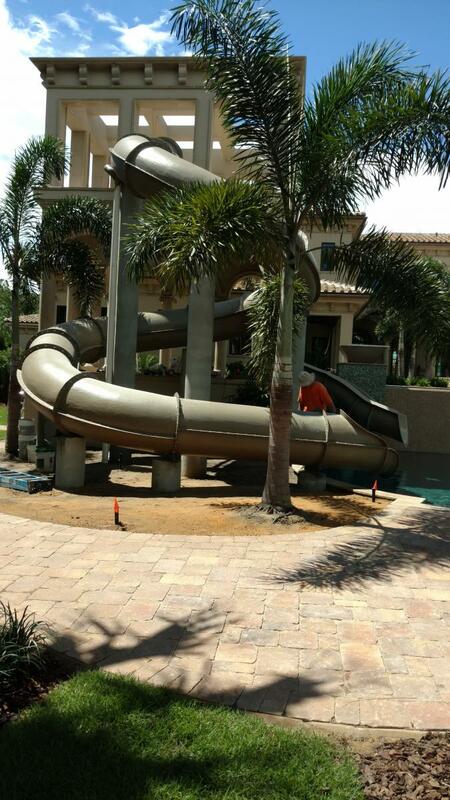 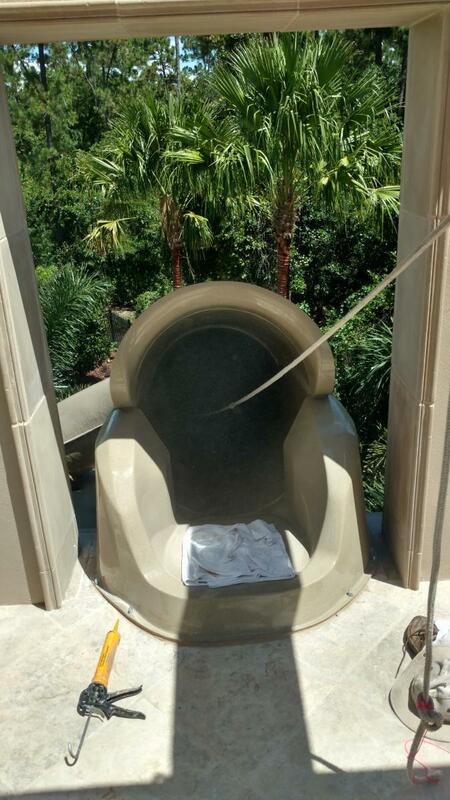 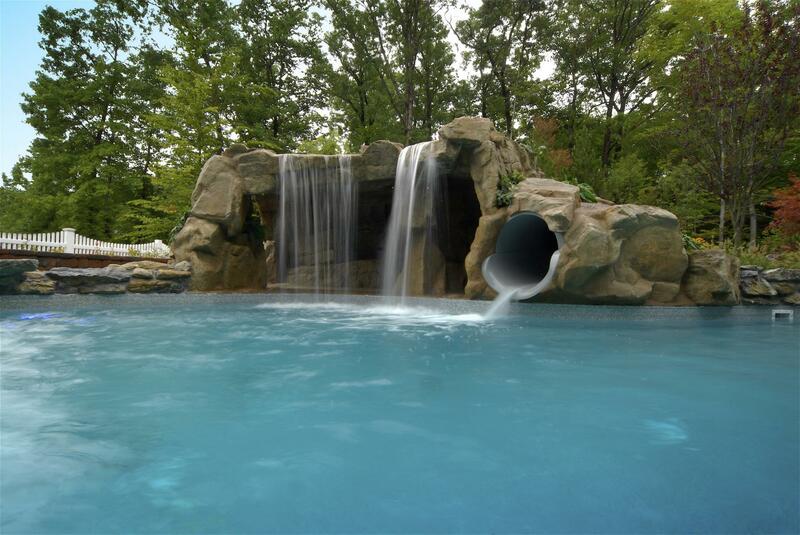 Featured Custom Water Slide Projects | Dolphin Waterslides, Inc. 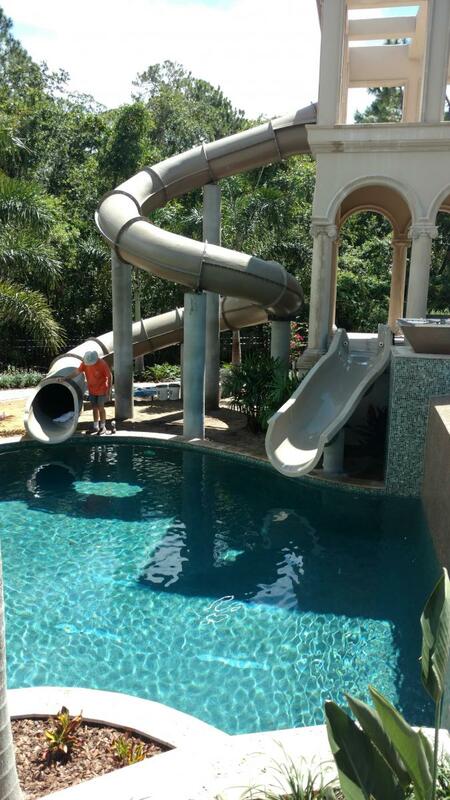 Pool slides often need to be able to fit the existing conditions of the site or the imaginations of the clients and pool designers. 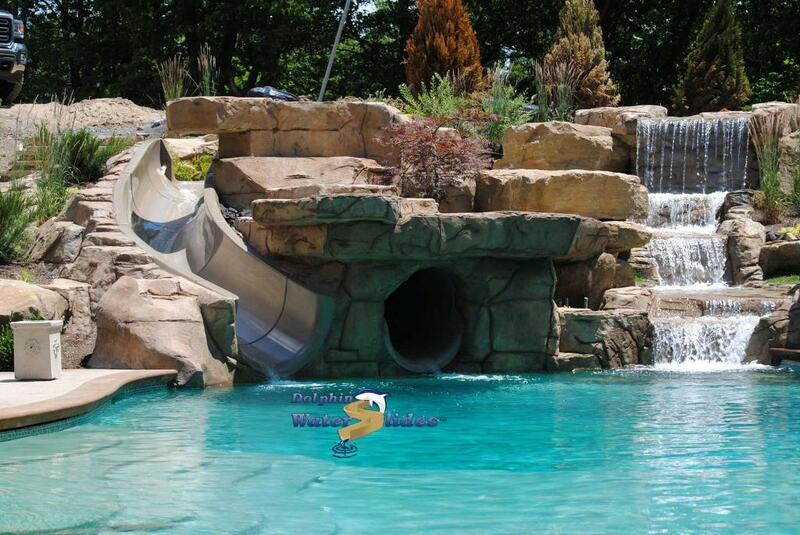 Dolphin can do that. 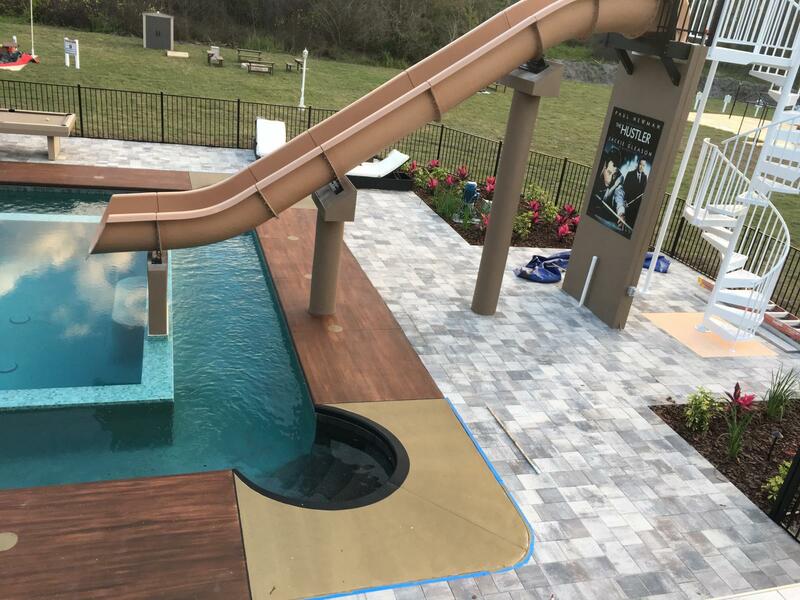 With two sales team members and two designers in-house, we can quickly start a slide design based on the most intricate rendering and pool plans, or a simple hand-drawn sketch. 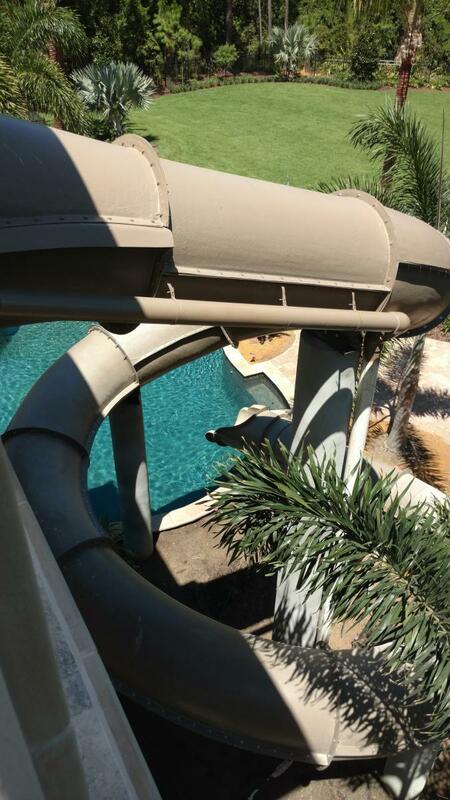 Offering more design options for custom slides than any other in the slide industry; we provide a safe, exciting water slide at any elevation, and offer several options for slide sections so we can design the slide you need to fit your dreams for any pool paradise, rather than making your dream pool oasis fit our molds. 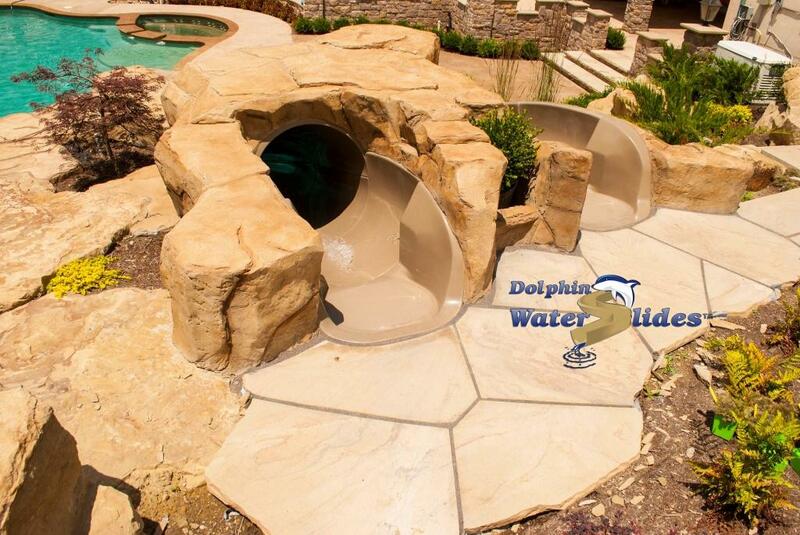 Take a look at a few of our more unique custom designs and when you’re ready, contact Dolphin to see how we can help you. 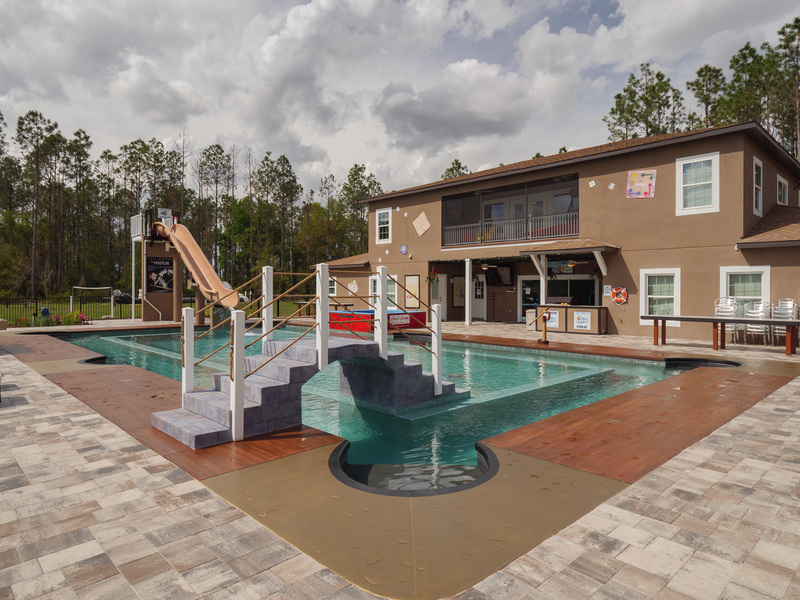 We love the out of the box creativity this latest project Andrew Greenstein and Paradise Pools by Design of Orlando, FL came up with for Orlando Area Luxury Rentals newest addition to his rental property line up. 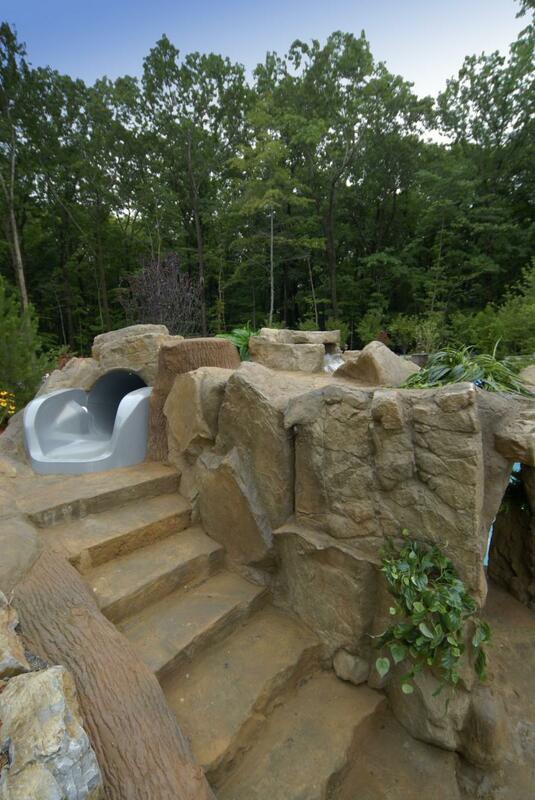 The photos speak for themselves, but this “pool table” slide is one of our favorites. 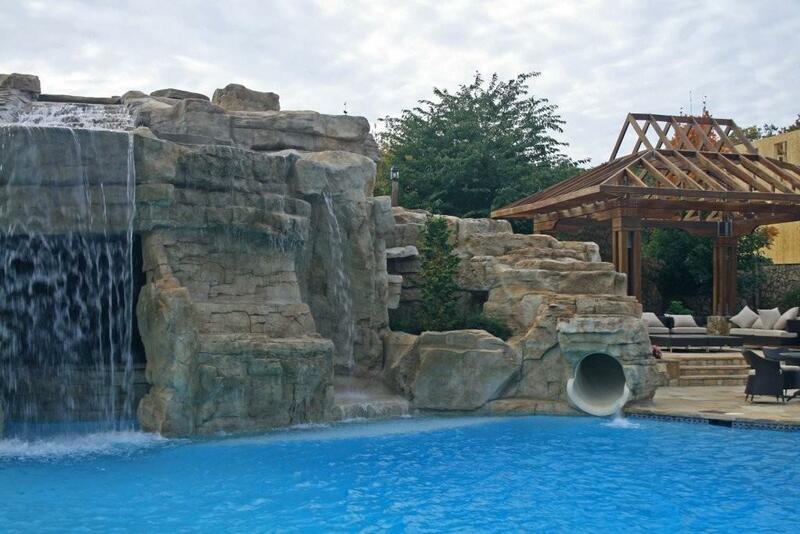 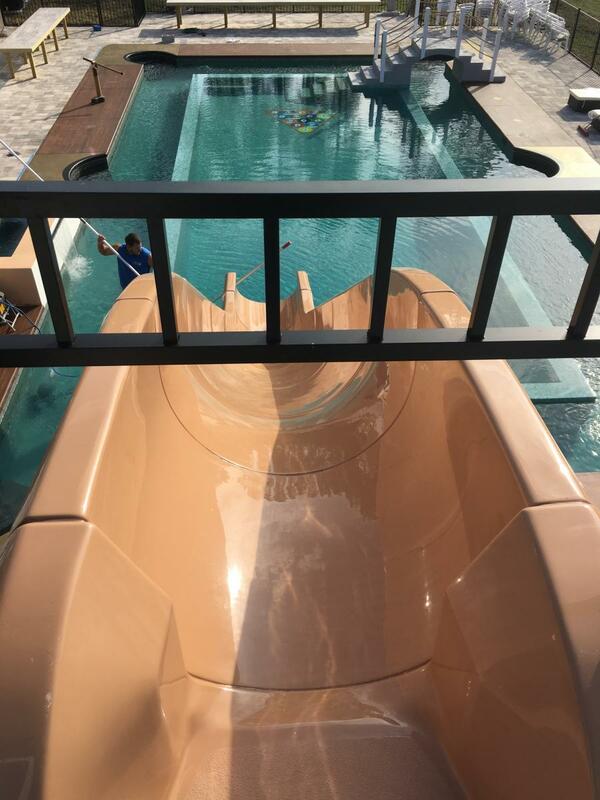 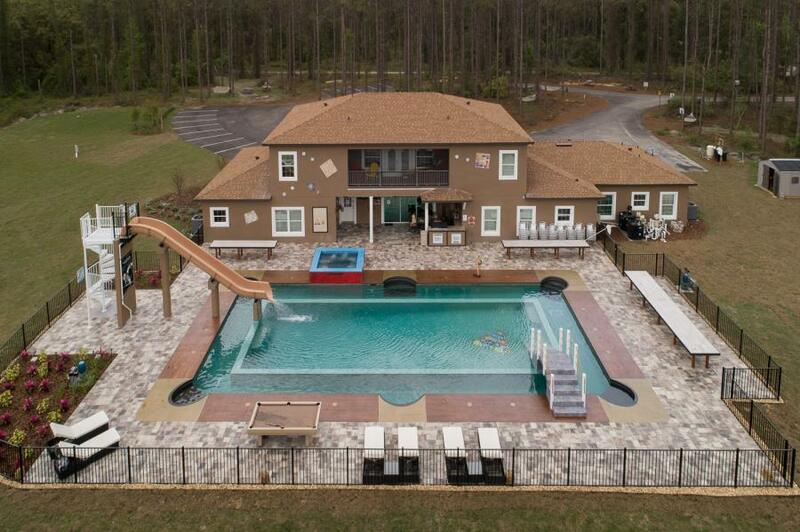 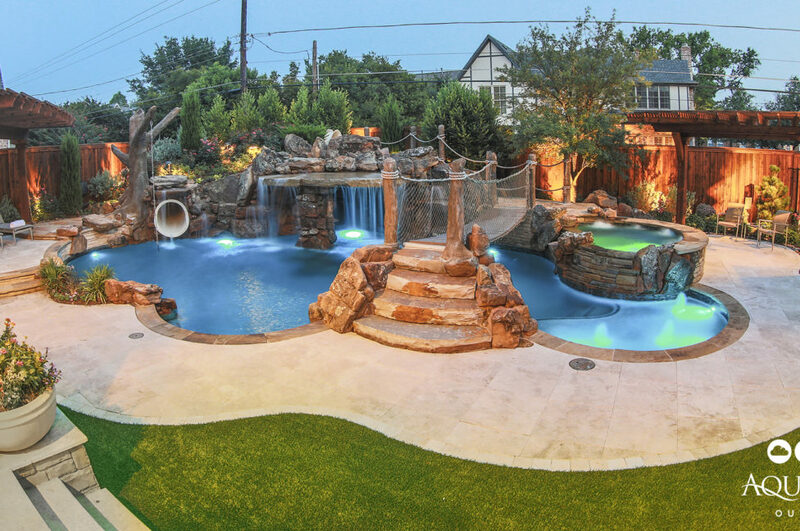 This 28′ Fawnskin custom speed slide was the perfect addition and we are so thrilled to be included in the creation of this epic pool! 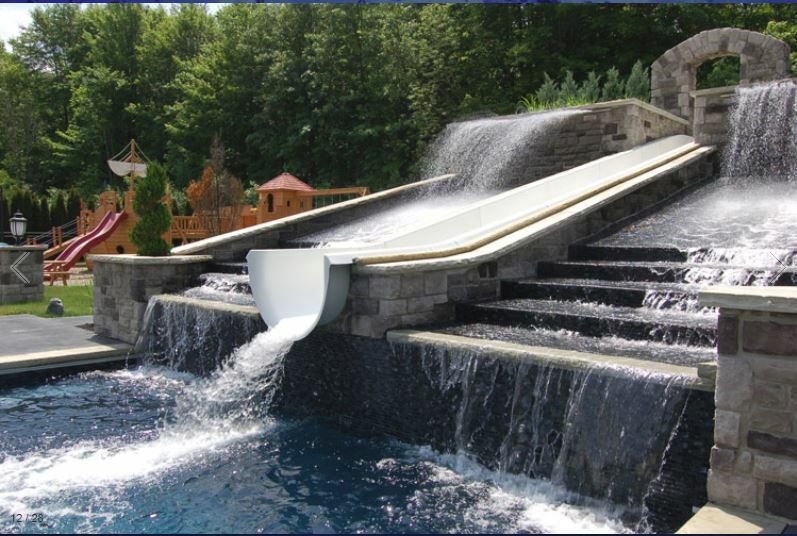 See more photos and a video of this insanely cool resort here.